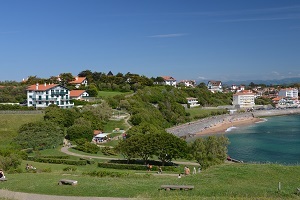 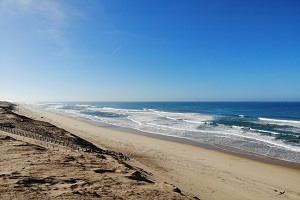 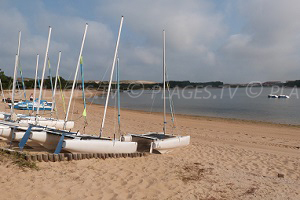 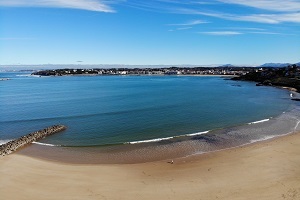 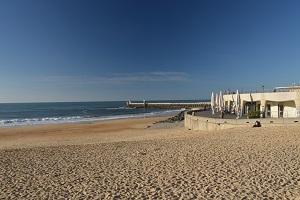 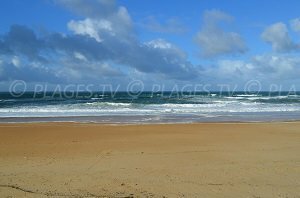 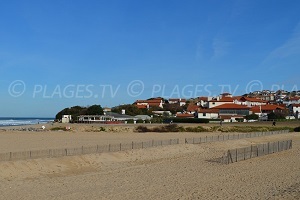 Chênes Lièges Beach in Hossegor is located on the edge of Lac Marin (southwest). 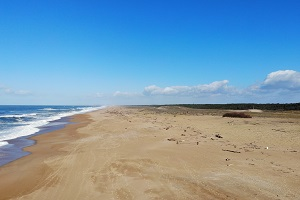 This beach has a lifeguard in the summer, but swimming is not always possible due to tides that are more visible than in the ocean. 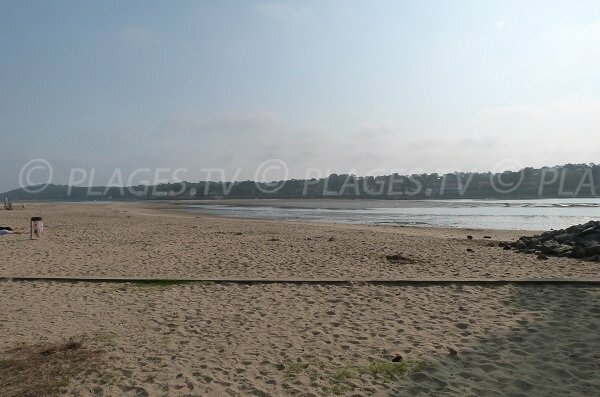 It is a nice beach, easily accessible (less than 2 kilometers from the sea). 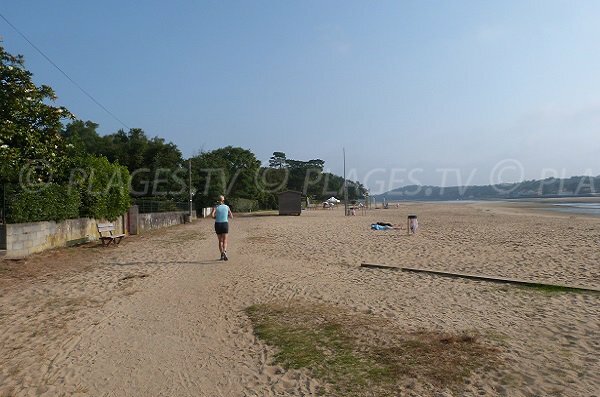 We find toilets and showers. 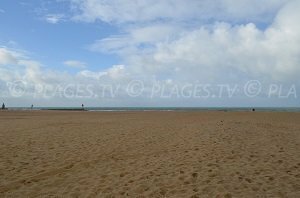 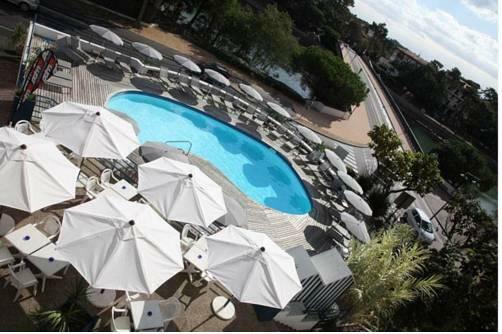 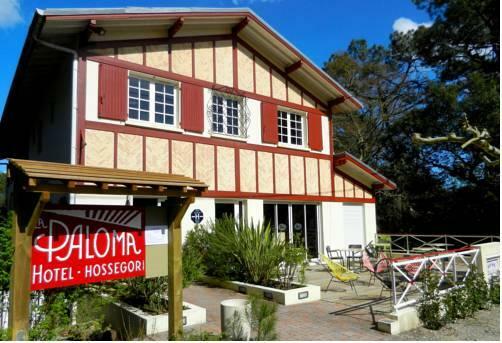 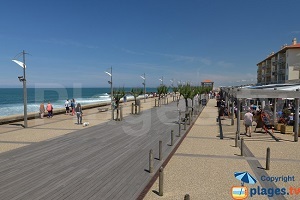 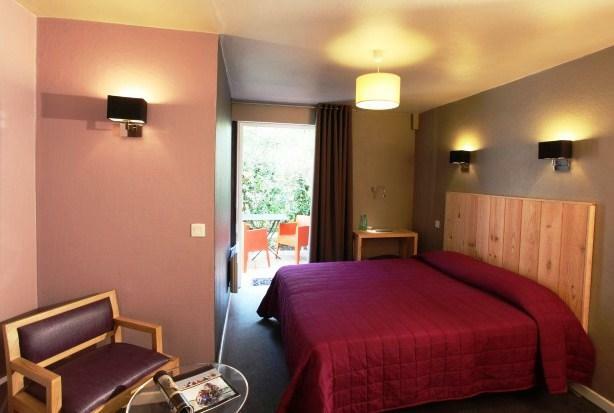 To get here from downtown, take avenue de la Grande Dune (road across from the main square in Hossegor). 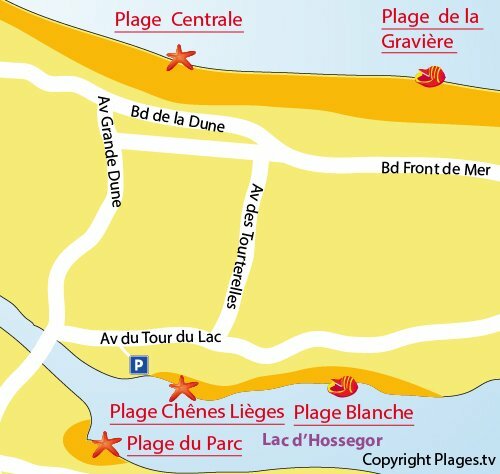 Just before the canal bridge, take a left (signs indicating Plage Blanche). 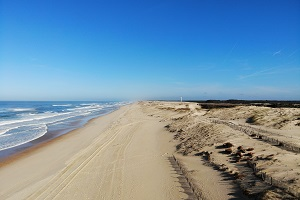 Continue for about 200 meters then take the first road on the right. 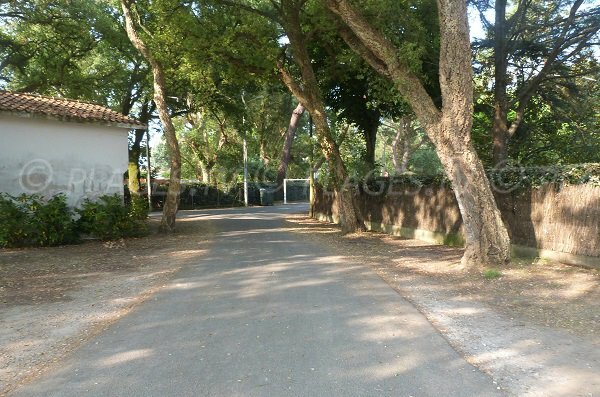 There is a parking lot on this street. 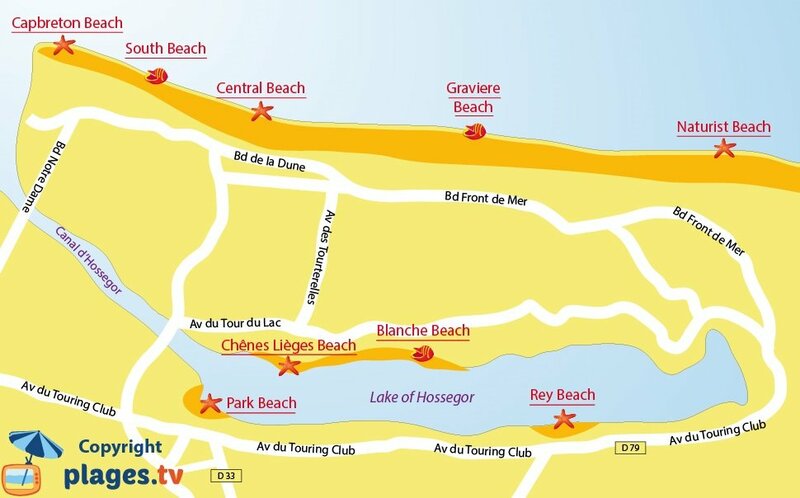 We are on the southernmost beach on the west shore of the lake. 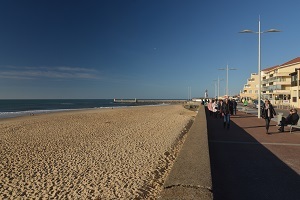 We have a nice stretch of sand. 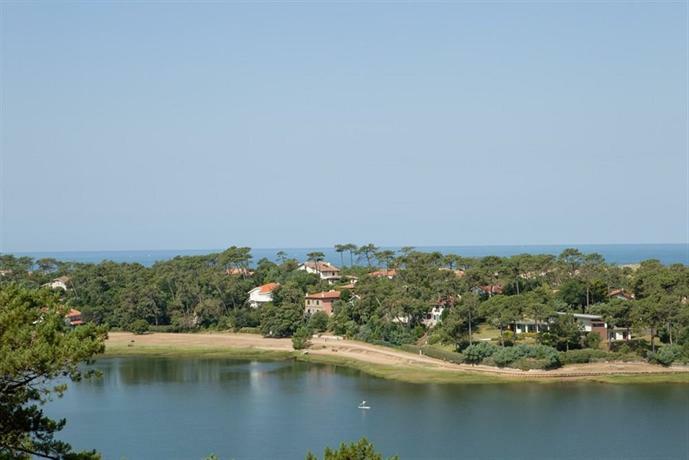 As you can see in the photo, the lake undergoes the tide, just like the ocean!